Royal Crown Derby are proud to announce the launch of The Queen’s Platinum Wedding Anniversary Commemorative Collection. 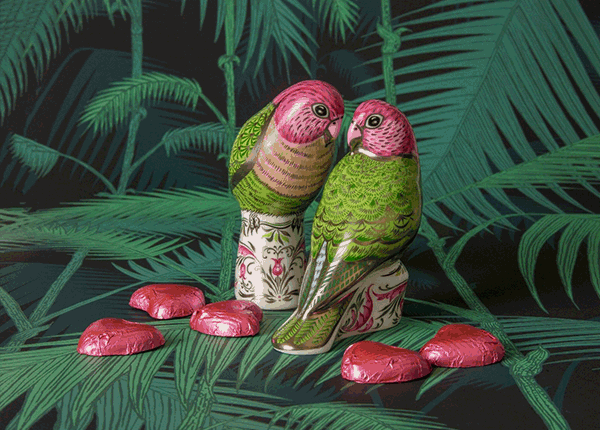 Included in this very special Collection is the Limited Edition Majestic Love Birds Pair. The Majestic Love Birds Pair are the epitome of a loving couple, named for their committed pairings and the long periods of time the two birds sit together. 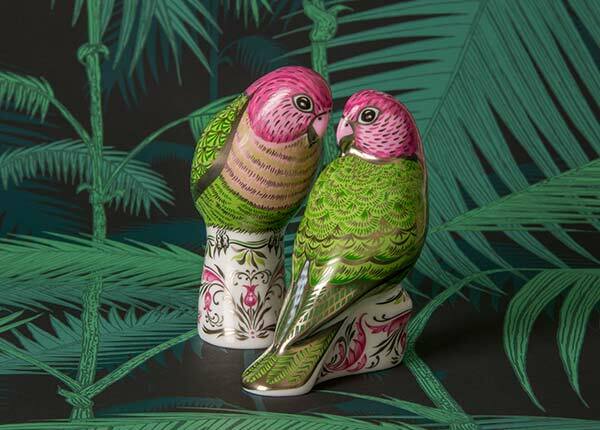 What better way to celebrate the landmark occasion of Queen Elizabeth II and the Duke of Edinburgh’s 70th year of marriage than with Royal Crown Derby’s Majestic Love Birds Pair, a limited edition of 500. The Majestic Love Birds sit upon a perch adorned with a specially tailored pattern, adapted from Royal Crown Derby’s Princess tableware pattern designed in 1947 to present to the Queen and Prince Philip on the occasion of their marriage. 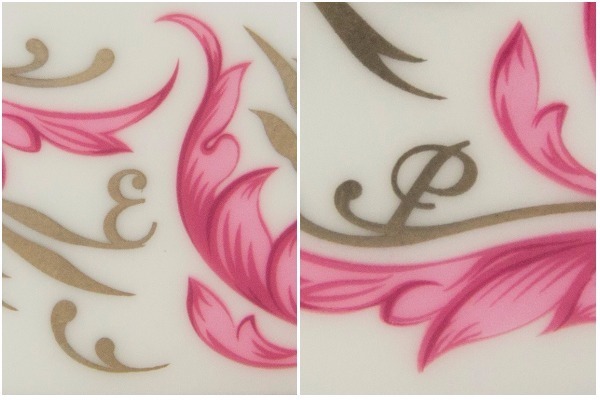 Beautiful pink blooms swirl around the perch with stunning platinum detailing, intertwined into the design are the Royal couple’s initials ‘E’ for Elizabeth on the female bird and ‘P’ for Philip on the male bird making the Majestic Love Birds a wonderful pair to behold. Feather detailing in blush pink and vibrant green tones embellished in platinum; the traditional precious metal gifted in Britain to couples on their anniversary bring these commemorative pieces to life. Designed to snuggle together as the birds do in nature they bring the romance and love, symbolised on this truly special celebratory wedding anniversary to life. Supplied in a wonderful presentation box (the first 100 purchased will also receive a specially designed commemorative postcard) the Majestic Love Birds Pair are a perfect gift of luxury.